Does Marijuana Fine-Tune Our Muscle Memory? We know the CBD oil is a wonder drug, and can treat epilepsy or is medically approved specifically to treat epilepsy, and that it's the THC that's bad, the thing that makes you high is the THC not the CBD oil. So what else can CBD oil do? But why? Why does it treat two conditions that cause poor motor skills (control of muscles)? I dug around and found the obvious correlation between white matter volume and reaction times. Reaction times, muscle memory, coordination, reflexes, dexterity these are all terms that are synonymous with motor performance, the control of your muscles. Pump enough cortisol into someone and you get hysterical strength, 90 lbs women lifting the side of a car half an inch. This is because when a person picks fight over flight the cortisol acts to augment motor performance. Weed treats epilepsy, sure. But it doesn't fix it. Weed treats epilepsy in the same way that alcohol does. It's a downer. And any downer will treat epilepsy just fine. When I feel a seizure coming on, my first port of call is a beer. Or a shot of whiskey. Or any alcohol. Because alcohol is a downer, and it's absorbed quickly. Much quicker than time-release tablets. It slows down the synapses where an overload causes a seizure. And that's about it. There's nothing magical to marijuana. It's not a magical cure-all. It's simply a massive downer. And it works - you feel a fit coming and you have a quick doobie, you're fine. It does nothing for the cause of the ailment, though. Edited by Boerseun, 30 April 2017 - 09:11 AM. Um, no. Marijuana is a psychedelic actually. It has a stimulant effect on the circulatory system. Ironically, some people swear by its ability to treat their anxiety while others go into uncontrollable anxiety upon ingestion. I agree that marijuana does not treat seizures or their catalysts, but it can be mighty effective at reducing the number and severity of occurrences. For some people, especially in extreme cases, this can be an absolute godsend. Why the hell is THC 'bad' exactly? Because it alters your mental state? That's really dumb. So does meditation! Historically, because the US government used to be racist AF and wanted a reason to deport people with high melanin content. Modern day, because the DEA and ATF need "wins" to secure their budget; their jobs are literally on the line if they don't constantly "win" on paper. 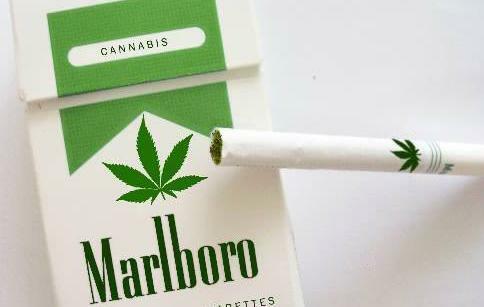 Now that the IRS is getting some sweet sweet sniffs of mary-jane monies that might change. I dug around and found the obvious correlation between white matter volume and reaction times. (FIX TO BROKEN LINK) Reaction times, muscle memory, coordination, reflexes, dexterity these are all terms that are synonymous with motor performance, the control of your muscles. Pump enough cortisol into someone and you get hysterical strength, 90 lbs women lifting the side of a car half an inch. This is because when a person picks fight over flight the cortisol acts to augment motor performance. Ehhh, THC is a serotonin analogue. Which is why it gives people the munchies; majority of serotonin use being to regulate the digestive tract. Second link isn't indicative of causation, only correlation. It is far more likely that that brain morphology is just more susceptible to substance abuse. Wonder what the images for chronic smokers, spooners, and drinkers look like in comparison? Seems smaller frontal lobes are a common trait of Obsessives and Users in general. It's like Boersun pointed out: it's a neuro depressent, it "slows down" signals from overly jumpy pathways in a similar way to some SSRI by straight out blocking the reuptake pathway with a flood. In conclusion, I don't think it "fine tunes" muscle memory, really. Edited by GAHD, 27 September 2018 - 11:49 AM. If you want to legally always be high on serotonin just take a legal serotonin uptake inhibitor, Legal marijuana. Never forget if the US government and others can make money off of it of course it will be legal. If you or I can make money off of it, it will always be illegal to sell a substance with the same effect. You and I have just not paid off the politicians enough money to make it legal is the problem with legal marijuana. Where as the Corporate Pharmaceutical company and healthcare company has definitely paid them a great deal of money its called FDA approval. So the truth of the matter is simple if you want your voice heard look them square in the eye and offer them a bribe. 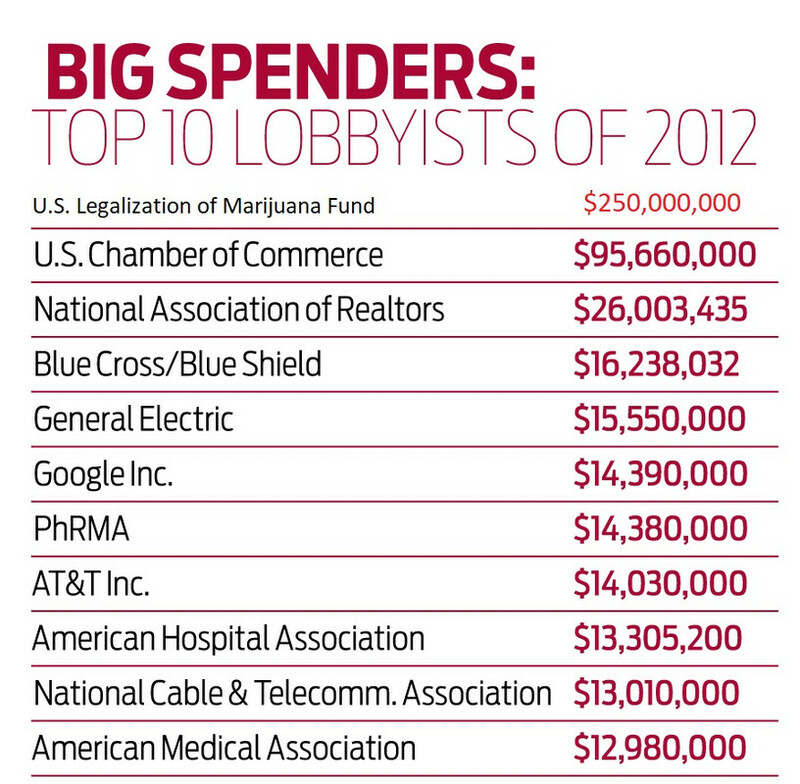 A couple Billion dollars in the hands of politicians from a lobbyist will instantly get it legalized. This is about how much exactly it will cost you per year to get your voice heard. See if the chart looked like this it would be legal. Now taking donations for the "U.S. Legalization of Marijuana fund" 's 250 million dollar per year lobbying budget....... , Estimated bribery needed per year to buyout the U.S. Government at current rates. Edited by VictorMedvil, 27 September 2018 - 08:54 PM.